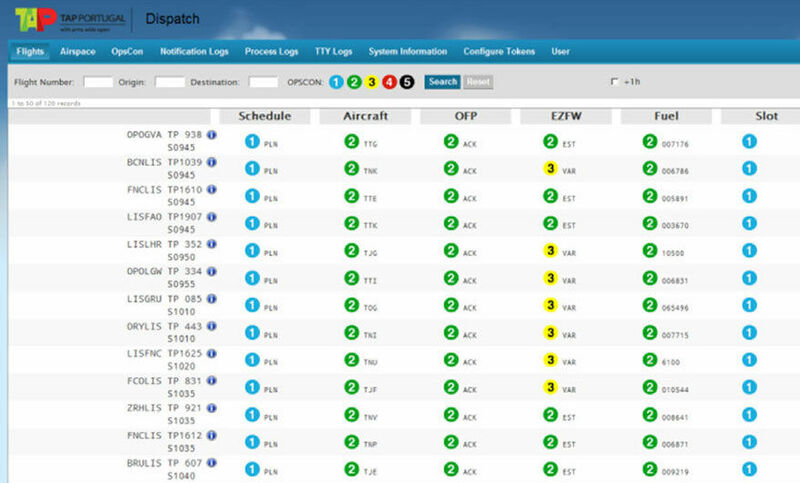 TAP embarked on a mission to revolutionize efficiency within the Flight Dispatch Office by ending the interruption-based operational model of working. The ultimate goal of Flight Dispatch is to plan and monitor flights. Flight operations officers must ensure that both pilots and air traffic control have an updated flight plan and that the flight plan optimizes efficiency and fuel consumption. This information is included in a briefing package that must stay current - crucial for flight safety. Flight operations officers had to monitor hundreds of messages coming from several different systems - a constant interruption to flight planning activities. 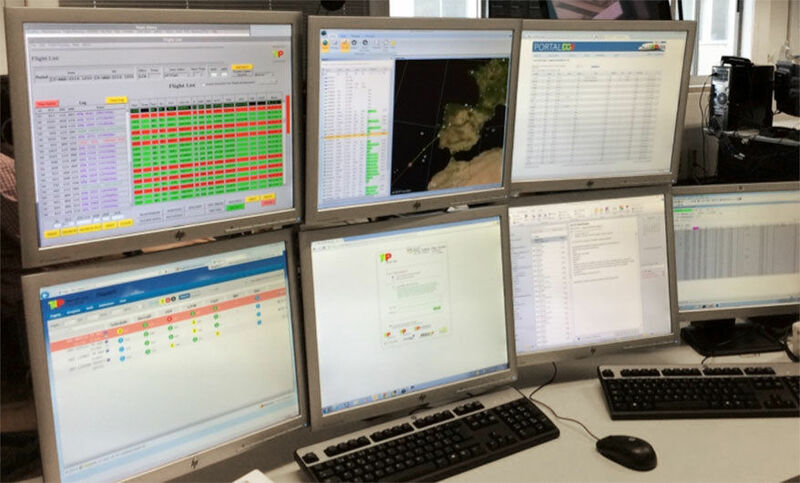 With OutSystems, Megasis (a TAP Group company specializing in information systems and technology for the Portuguese flag carrier) built the Flight Dispatch Control Center that offers a 360º view of all flights and notifies dispatchers of the events that require action prioritized by severity and estimated flight departure time. Flight operations officers now focus on important tasks, eliminating interruptions and allowing them to be more efficient in ensuring flights safety. End the interruption-based operational model of flight dispatchers so they have more time for flight planning. Challenge - One of the main responsibilities of the TAP Flight Dispatch Office is to prepare the flight plan. This critical document for pilots and air traffic controllers must be updated before take-off. Flight Operations Officers (FOOs) invest most of their focus ensuring the timely completion and highest efficiency of the flight plan. Therefore, automating repetitive and manual work helps free FOOs to focus on high-value activities. FOOs also monitor hundreds of flight-related events coming from various systems, email, phone, and ground/air communication with aircrafts. For example: delays, changes in number of passengers, route updates, meteorology, NOTAMs, and more multiplied by hundreds of flights. These events normally require flight plan updates, and if not handled in a timely manner, can prevent the flight from taking off on schedule for safety reasons. 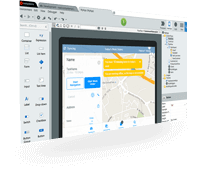 TAP Portugal chose to adopt OutSystems for custom development including web and mobile applications. Because OutSystems provides the ability to speed development and rapidly iterate applications, it was the strategic choice for TAP. OutSystems provides the freedom to focus on business problems and quickly present an application that can be modified with direct input from business users. The result for TAP was 100 percent user adoption. 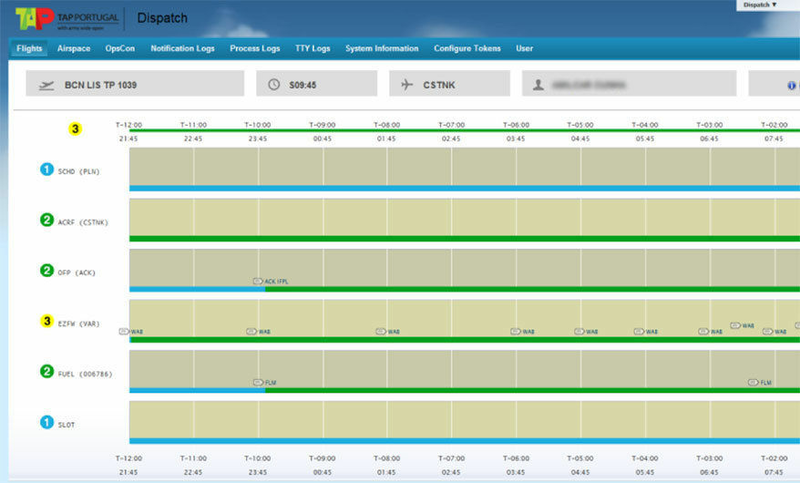 Solution - Megasis delivered the Flight Dispatch Control Center (FDCC). FDCC takes information and notifications from several operational systems and aggregates them into a dashboard that provides FOOs with a prioritized list of action items needed to achieve clearance for flights to take-off. FDCC keeps a list of flights scheduled for departure in the next twelve hours and constantly monitors events that may delay take-off - schedule, aircraft, ATC flight plan, operational flight plan, estimated zero fuel weight, fuel, briefing package, and slots. All events are logged allowing FOOs to quickly reconstruct the event timeline for a given flight. 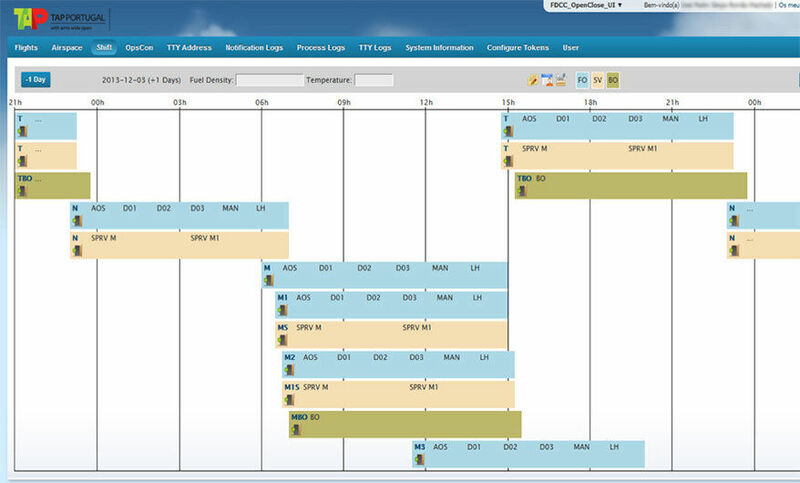 "This solution dramatically reduced the time and effort Flight Operations Officers take deciding on a course of action in case of unplanned events." Results - The first production deployment of FDCC happened in 11 months. Within a few weeks, the solution reached 100 percent adoption among Flight Operations Officers, who experienced extreme productivity and efficiency gains. With the creation of this 360º view of all flight’s relevant events, the system ensures that both the pilot and air traffic control have the most updated versions of the flight plan, which is critical in terms of safety compliance. 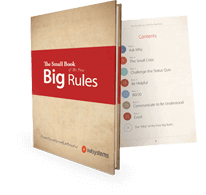 In addition, there was a significant reduction in the operational risks simply because dispatch- related tasks went paperless. After several months of collecting huge amounts of information, Flight Dispatch is now thinking of ways to take this big data repository and create intelligence to help optimize operations several steps further. TAP is Portugal’s leading airline in operation since 1945 and member of Star Alliance, the global airline alliance to offer customers worldwide reach, since 2005. Its hub in Lisbon is a key European gateway at the crossroads of Africa, North and South America, where TAP stands out as the international leading carrier in operation to Brazil. The company’s network currently comprises 77 destinations in 34 countries worldwide, with 11 new destinations in Europe and South America to be added throughout 2014. TAP currently operates 2,250+ weekly flights in average on a modern fleet of 55 Airbus aircraft, to which add some 16 aircraft operating in PGA colours, TAP regional carrier, thus adding up to a 71 aircraft fleet in the whole. In the pursuit of its customer focused policy, TAP continuously strives to deliver safe, reliable and upgraded products and services, tailored to meet customers’ expectations. Retaining the Portuguese character of the Company’s brand and quality service as the basic concept has been the main driver of TAP strategy in most recent years. TAP was also voted Best Airline by Condé Nast Traveller Magazine in 2010 and Best Portuguese Tourism Company by the specialized magazine Marketeer, in 2011.